But a few hours ago, something curious happened. 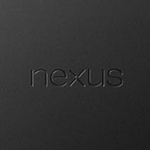 Google's Nexus Player got the dreaded "out of inventory" designation in the US Play Store. Many thought the device (for which Google is offering a $20 Play credit if you pre-order from the US or Canada) was simply sold out. After all, customers of the Play Store are no strangers to inventory constraints. Simultaneously with the device's status change however, Google added a new snippet to the Player's product page. It would seem, given the timing, that Google may have paused pre-orders based on the Nexus Player's not-quite-there status with the FCC. Recipients of the ADT-1 developer kit may remember that the dev device and its gamepad were similarly not approved yet by the FCC. There's no way of knowing when the Player and its gamepad will be available for order again, or if the release/shipping time frame will be affected, but we'll keep you updated as any details emerge.